The Elohim Bridge New Testament is a sacred name version with references to space aliens and UFOs. YaHWeH, El and Yahshua are used for Lord, God and Jesus, respectively. For sample verses from The Elohim Bridge New Testament, click here. 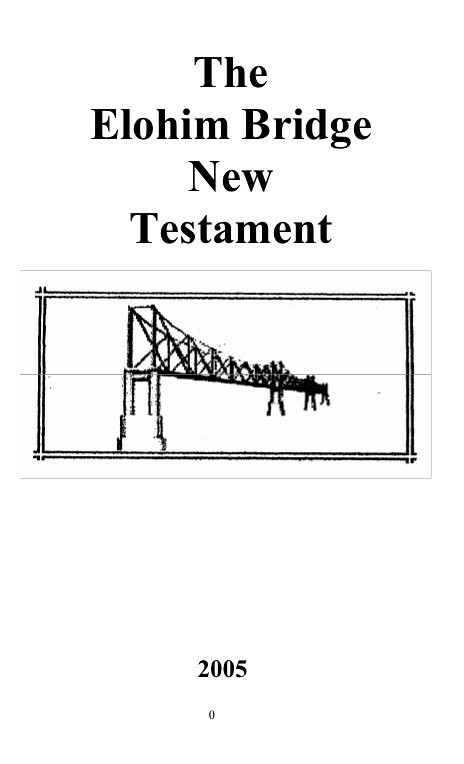 Comments: The Elohim Bridge New Testament along with Eldridge's other works can be downloaded here.